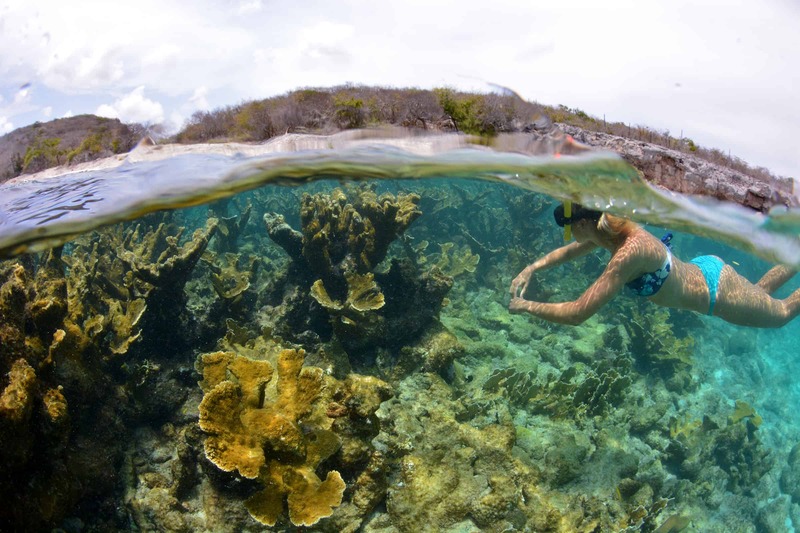 As you cruise around Curaçao you’ll see the island from a whole new perspective! Step aboard the Pelican! Watch as Willemstad and the most beautiful beaches of Bandabou pass you by. 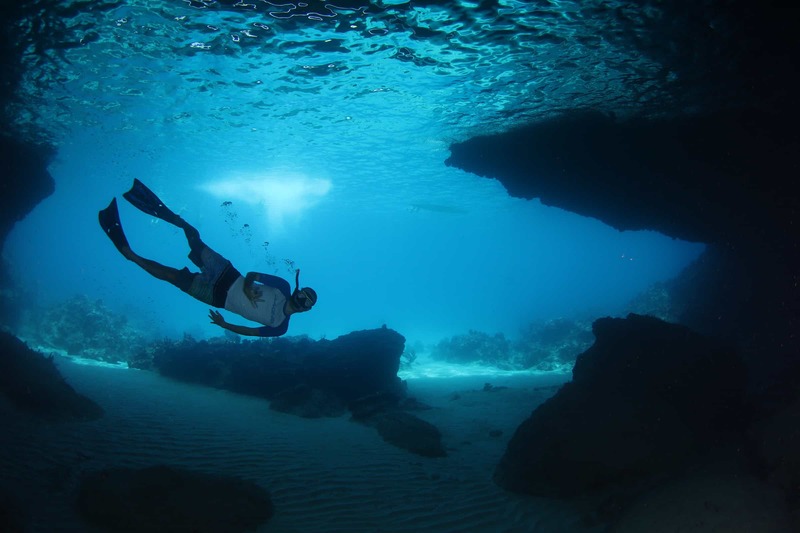 You’ll get to know the stunning coastline and the underwater world… such as a secret cave called the Blue Room. At 8:30 or at 10:00 the boat leaves out of Sea Aquarium. 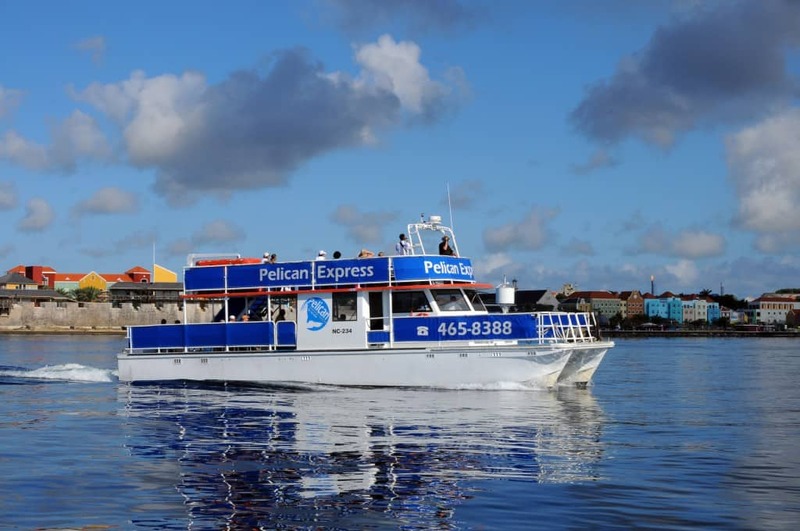 A marvelous way to go sightseeing on Curaçao is by boat. Cruise on board the Pelican past the rough cliffs and colored houses along the west coast. First Punda: the Floating Bridge and Otrobanda will pass you by. 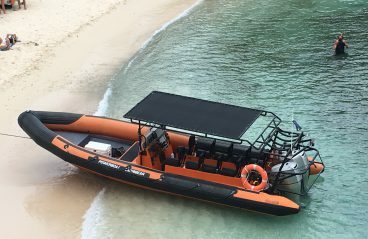 Then the most striking beaches of Bandabou come into view as you cruise pass them: Cas Abao, Kleine and Grote Knip, Playa Forti, Playa Lagun and many more! 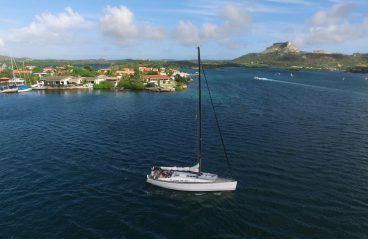 The captain will tell you a bunch of tales about Curaçao and her gorgeous coastline. 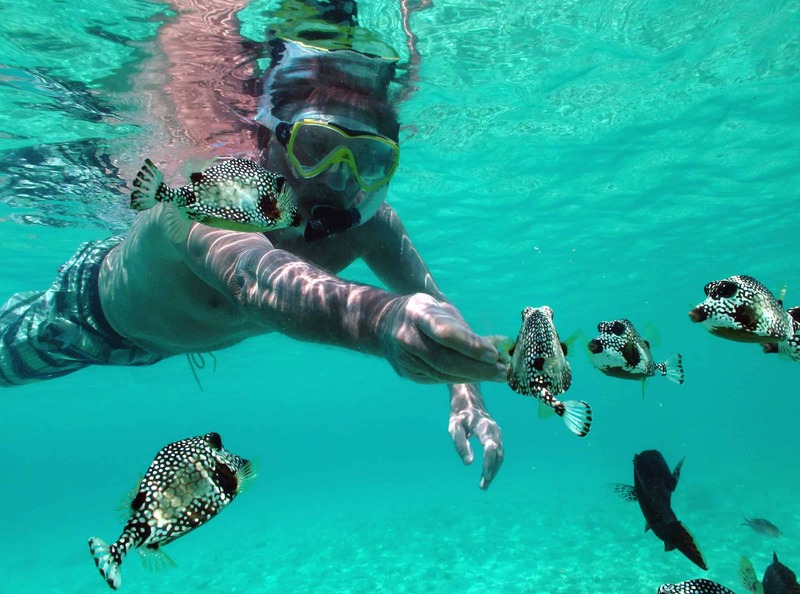 Also, a snorkel instructor will allow you to get in touch with the underwater world. Your first stop will be at the lush Vaersenbaai, where you’ll enjoy a scrumptious barbecue lunch. You will make the second stop at Bandabou, where the spectacular water cave of the Blue Room awaits you. This cave can only be accessed by boat, without a boat tour you can’t get there. What is special about this cave is that the entrance is so low to the water and when the tide reaches the openings, the cave lights up in blue light. 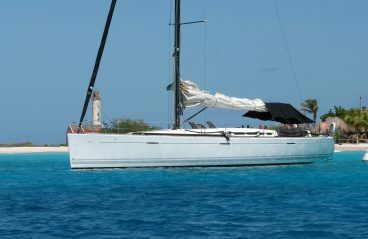 Around 2:30 we arrive at the western punt of the island and make a stop at Kura Hulanda lodge. Here you get off and get on the bus back to the hotel. However, you could stay aboard and take the long way back to the dock by the Sea Aquarium. 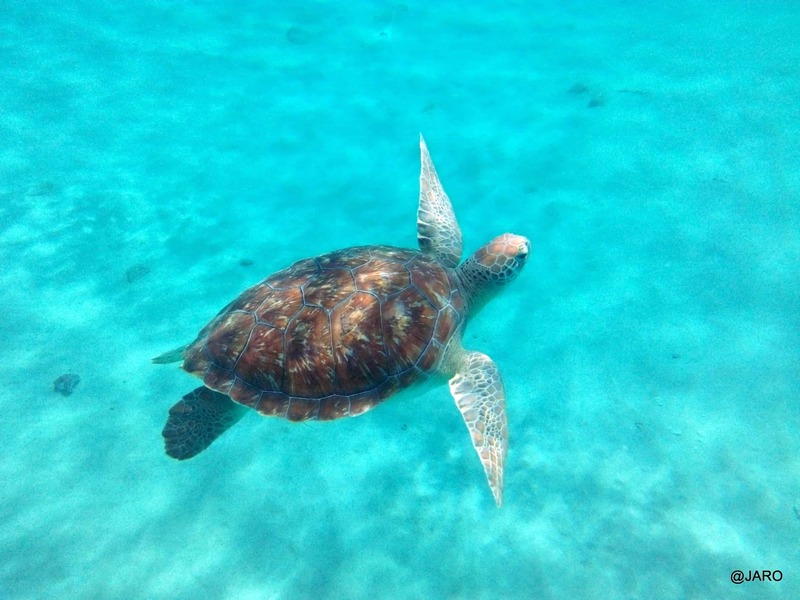 Read more about this magical experience in our blog!